It is bottled 2015 and comes from a 1st fill Bourbon barrel. It sits at 62 PPM. That shows immediately on the nose. 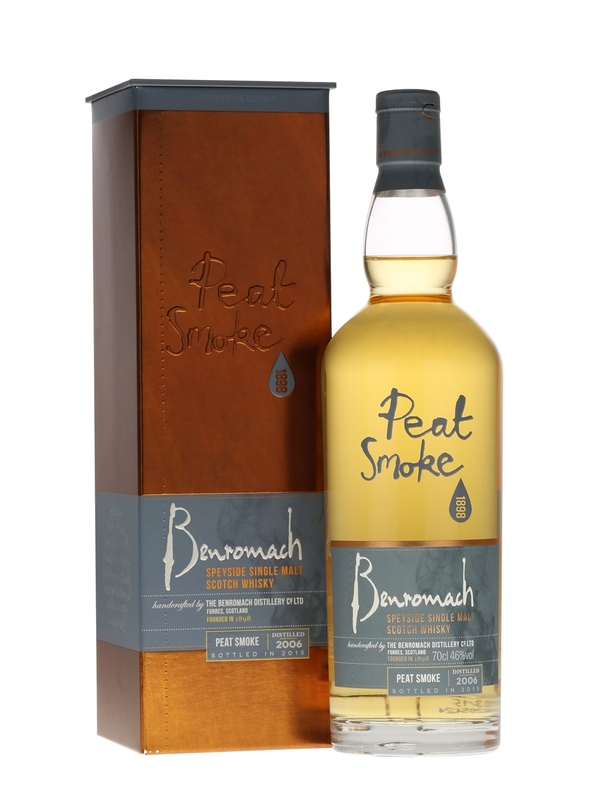 Heavy peat, smoked ham and white fruits like apple and pineapple with just a hint of lemons. Almost only heavy peat at first in the taste. Sweet peat though. Some vanilla and honey. 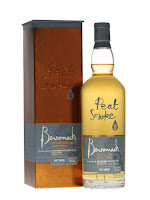 The finish is medium long and the peat lingers out with some fresh exotic fruits. Coconuts and pineapples. Quite refreshing! A fine heavy peated whisky from a Speyside distillery. Lovely. It really shows that it is not only Islay that can make heavily peated whisky! Almost all their other whiskies are mixes with Sherry casks, and that would really have suited this whisky! I will give this 86/100 (21/22/22/21).